My work is influenced by Japanese and early American folk pottery. At my studio in western Massachusetts, I seek to reveal the humble and unassuming origins inherent in the beauty of these objects. Each piece is handcrafted and unique, incorporating glazes that are lead free and fired in a manner that makes them durable and safe. Through contemplation both visually and tactilely, I hope my work embodies strength and honesty in its quiet presence. 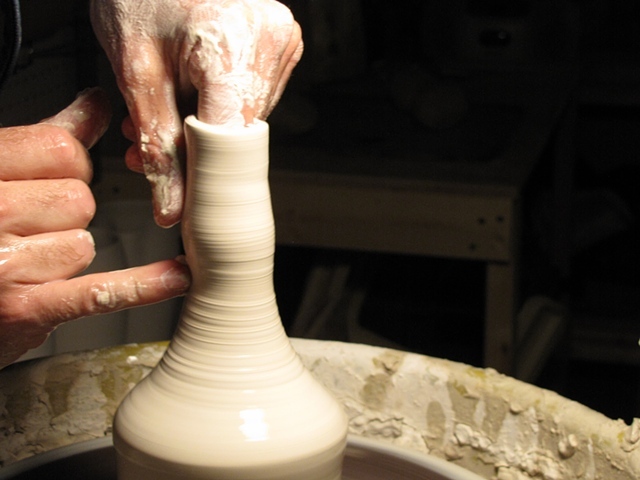 Warren Smith is a potter and art educator. He holds degrees from Massachusetts College of Art and Design and the Rhode Island School of Design. Warren apprenticed with John Baymore of River Bend Pottery and exhibits nationally. He currently resides with his family in western Massachusetts. His work is included in the book "500 Ceramic Sculptures: Contemporary Practice, Singular Works".